I love healthy hair with volume, not silly amounts of volume, but enough so my hair doesn't look completely lifeless (which I feel makes my face look more round - not cute!). This isn't normally too difficult just after I wash and dry my hair, but the next day my hair can often be less bouncey and more flat. I have tried combs before for back-combing my hair and have found they never achieve the look I like. They make my hair look a bit rough and knotted which doesn't look great or tie in with the 'healthy' look I'm after. In fact I saw a young girl the other day at the train station who had over back combed to the extent where her hair looked straw-like and it looked like she had a bird's nest on her head - also not cute! 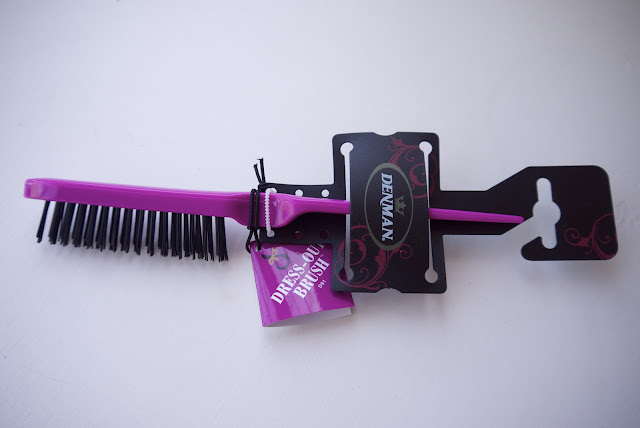 So, in my efforts to avoid that because it looks awful and surely cannot be good for your hair, I came across the Denman Dressing Out Brush. I'd seen positive reviews on blogs and on YouTube so thought it would be worth a go. One thing I wasn't prepared for was the texture of the brush. At first, I was totally put off. The bristles honestly feel like those on a shoe brush (maybe even more rough!). But after hearing so many good things about it I was desperate to see what the fuss was about and for £4.29* I thought it was worth a shot. Boy am I glad I listened to my fellow reviewers! Do not let the texture of the brush put you off, it works wonders! I can 'tease' my hair into having more volume with the brush and it looks 'smooth' if that makes sense, not knotty and horrible like other combs have done. 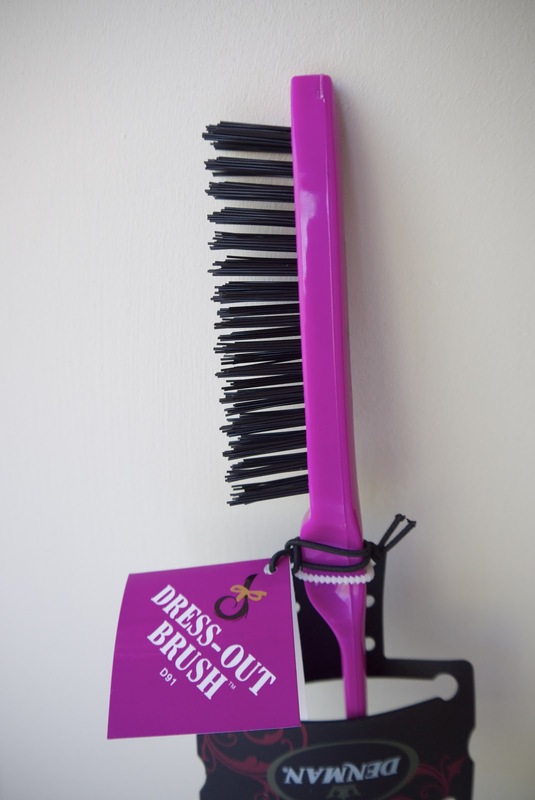 Ironically, the stiff bristles feel more gentle on my hair. Although I'm sure back combing is never particularly healthy for your hair, it is certainly kinder to it with this. My lesson is learnt, don't judge a book by its cover!